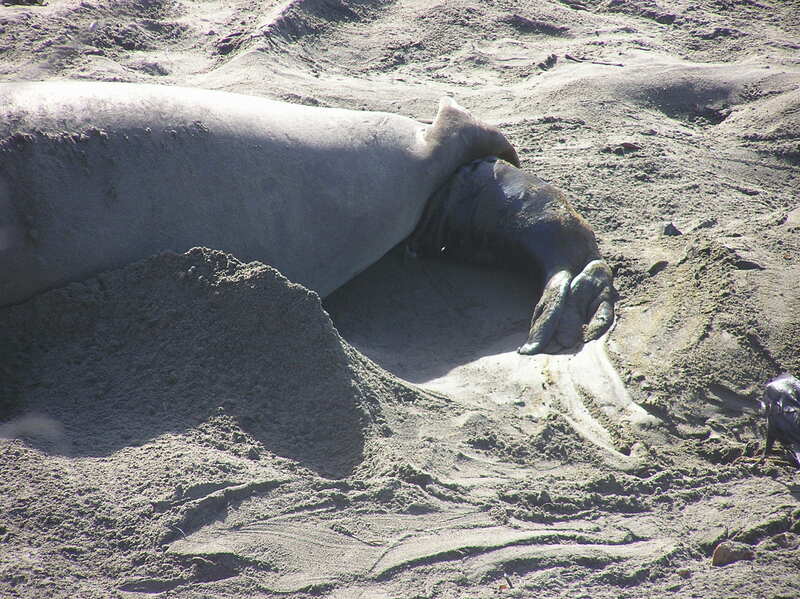 Elephant Seal Breech Birth – Neptune 911! 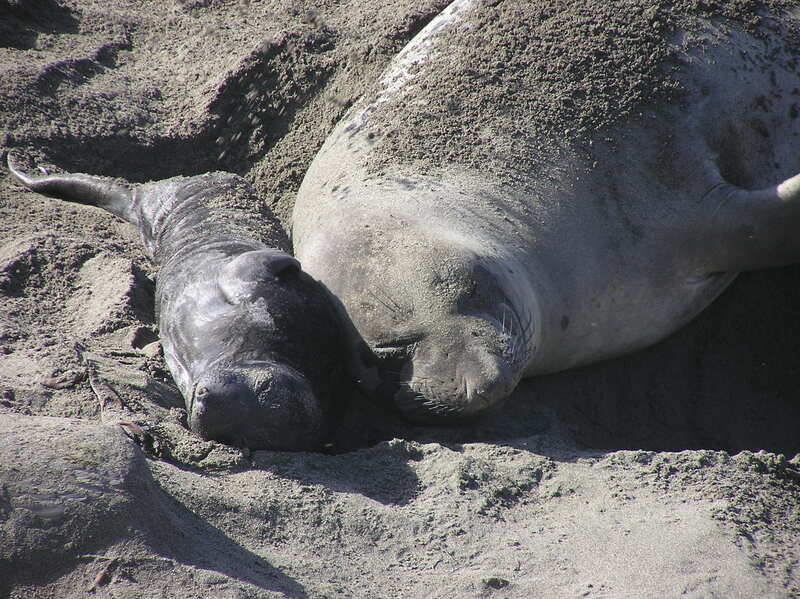 January is a prime month to view northern elephant seal birthings, particularly at Piedras Blancas near San Simeon, Ca. On Sunday, January 8, 2012, I was near a birthing. It was a surprise because the pup’s fins exited first. It was a breech birth. This northern elephant seal pup weighs between 60-80 pounds and is just over 3-feet long. It will gain approximately 10 pounds a day. It will nurse for 28-30 days then begin its hard life when its mother abandons it at this time. But at about 300+ pounds at 4-weeks old, it should be able to survive on the beach until April when it is likely to make its first foray into the sea. Yes, each elephant seal pup/weaner must learn to swim and hunt on its own. If this e-seal survives the first year, it is among the lucky 50 percent. If it makes it to age 3, it, again has beat the odds. 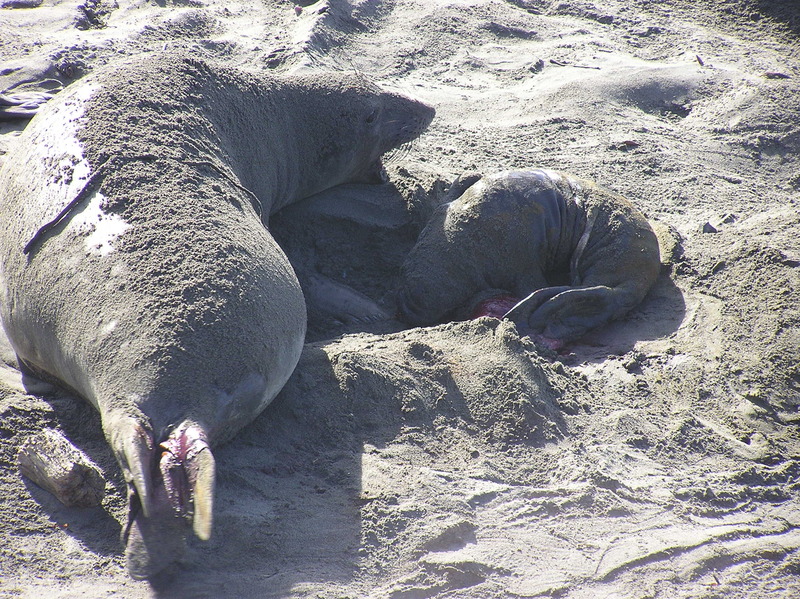 Less than 20 percent of juvenile elephant seals live past age three. Awesome! Thanks for sharing Charmaine! Breech births are not super usual…and it took me a moment to realize that when I saw big flippers and little flippers that I had a breech right in front of me.